Listing by EXIT Realty Lake Superior – 81 Simon Ave, Sault Ste. Marie, ON. Custom built 3+2 bedroom hi-rise bungalow located in desirable east end neighbourhood. Constructed in 2008, this lovely home features an open concept layout with cathedral ceilings & exceptional finishings throughout! Plenty of hardwood flooring, custom trim, beautiful kitchen with island, patio doors to deck & large master bedroom. Fully finished basement with spacious recroom, two additional bedrooms & spa like bathroom with walk-in tiled shower and oversized soaker tub. 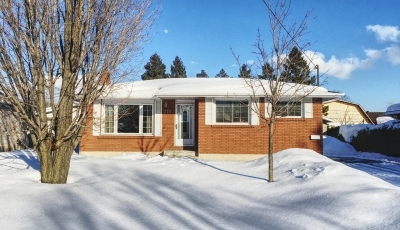 Efficient gas forced air heat, central air conditioning, detached 24’x24′ insulated garage & paved driveway.